FORMULA 500s - It’s Grand Final Time! 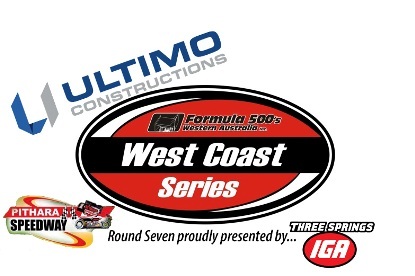 The Ultimo Constructions West Coast Series will come to its epic conclusion this weekend at Pithara Speedway, and with a strong thirteen car field nominated it is anyone’s guess who will take out the feature race for Round Seven, proudly presented by Three Springs IGA. Chris Dymock currently leads the points standings and with a forty two point gap back to second place he will be a hard one to beat in the overall standings. Dymock has also won three features this season on top of five more podium finishes and six heat wins, so is a real threat to claim the final feature of the season. 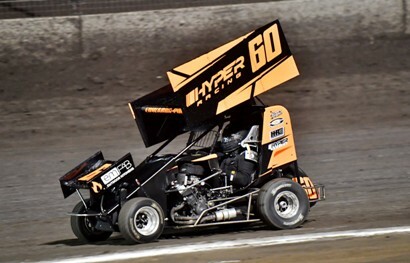 Another in the field with three feature wins this season is Ryan Higgs who, despite running a limited campaign, has been consistently towards the front of the field and sits third overall in the Ultimo Constructions West Coast Series. He has also grabbed two other podium finishes and five heat wins and after winning at Pithara before, is also in a strong position to come home with the win. 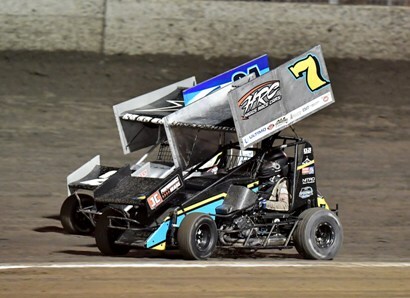 No other drivers in the field have claimed a feature win this season, but Cody Turacchio has claimed five podium finishes to be fourth in the series standings. He is desperate to break through for the feature win this Saturday and if recent speed is anything to go by, could be one to watch out for. Another who has impressed the punters is George Eaton. He, along with Shane Andersson, has grabbed two podium finishes across the season, but more excitingly, he sits second in the overall series rankings. Eaton has been consistently quick and could be a dark horse for the win this weekend, while Andersson will be hopeful to have finally overcome mechanical dramas and get right back up on the podium. The only other driver in the field this weekend who has claimed a podium finish across the season is Todd Broadwood. The long time competitor will be hopeful of repeating that result but will be pressured by a host of others including Ben Stockdale, Matthew Edwards-Pope and the returning Jamie Pages in what is sure to be a massive night of racing action. Excitingly, as if this wasn’t enough, for this weekend there are also five Junior drivers nominated in their final show of the season. Nash Waldron, Chevy Hawkins and Declan Minchin have been racing hard against each other through the season, a battle that is sure to continue while Makayla Noakes and Bryce Baker will also join the field this weekend. Baker even got some laps under the belt at the Motorplex tonight in preparation and it is sure to be a good showing from all five drivers. 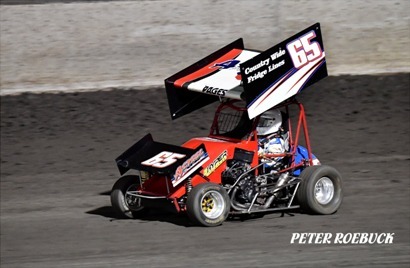 Pithara Speedway and the Formula 500’s WA committee have worked hard also to reward these Juniors with some awesome prizes totaling over $650 on offer, which is an awesome incentive for the five drivers to put on a real show. Back to the Seniors and this weekend will also be the last chance this season for drivers to play their Ace Card. This is to be declared at the Drivers Meeting, and allows racers to double their points for the show. This can have real ramifications for the overall Series standings, especially considering drivers will be in a final desperate dash for points to round out the Series. Hot Laps will be at around 5.45pm while racing begins on Saturday night from 6.00pm. The Seniors will then get two heats each (a total of four heats) followed by the knockout race and then the twenty lap feature event. The Juniors will also get two heats each followed by their knockout and then a fifteen lap feature event.